If you are looking for a high-quality liquid storage solution, then you are in the right place. Here at Tuffa Tanks, we supply an extensive range of bunded steel tanks in a wide variety of sizes, for both industrial and domestic situations. Although we manufacture and sell a vast range of containers for different uses, including single skin and plastic tanks for dry food and water, as well as oil and fuels like diesel; the steel oil tank with bunding remains one of our most popular choices for customers, far and wide. The reasons for this are far reaching, but you can rest assured that there is a suitable tank for your needs. Our bunded tanks are available in steel and plastic, depending on your needs and storage specifications. We uphold high standards, and the quality of the tanks we manufacture is a testament to this – so, if you are looking for the best on the market, you can trust the UK’s number one tank manufacturer. As well as offering a variety of different tanks with fixed specifications, we also specialise in bespoke orders to suit your business. Our in-house team is highly experienced and highly trained to guarantee you get a product that will last. All of our bunded steel tanks are produced in mild steel to BS EN/10 025 and to BS799 Part 5 to comply with oil storage regulations. On top of this, they are available in an extensive range of sizes and capacities to suit your available space. Locks and access points come as standard, to ensure your liquid investment is protected, and many are fire protected, too, to reduce the risk of damage and loss from fire. 110% bund capacity is compliant with regulations and ensures that any accidental spillages or leaks from your fuel tank are easily contained without wastage. How Can I Protect My Tank? Keep your tank concealed to avoid the prying eyes of potential thieves, or keep enclosed in fencing with a lockable gate. CCTV and security lighting are a great way to deter thieves and can help authorities recover your assets, should they be sabotaged or stolen. Keep an eye on your fuel levels regularly to ensure that you are aware of any sudden, unexpected losses in your fuel reserves. Keep your tank clean and in good condition to ensure you get a full lifespan from your tank. They are manufactured using steel for strength and durability, as well as longevity. What Can the Tank be Used for? Bunded steel tanks are suitable for use with a range of liquids, including oil, diesel, petrol and other biofuels, rainwater harvesting and storage, de-icer, pesticides, lubricants, and much more besides. Why is a Bunded Tank Recommended? We would recommend that you opt for a bunded tank over a single skin tank for a number of reasons. This could be because you need to store a larger volume of liquid, the placement of your tank is at risk of contaminating the environment or the public, and to comply with regulation requirements. 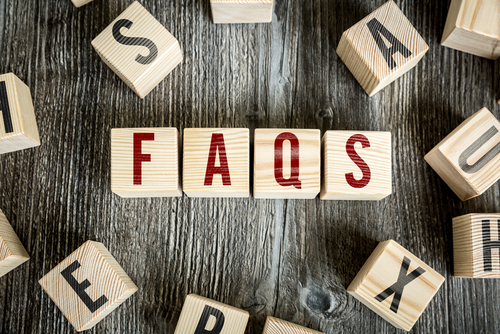 More Frequently Asked Questions can be found here. For more information or to speak to our team, please call us on 01889 567700.